On August 3, 2008 a suicidal man drove his SUV off of a bridge and into the Banana River on Merritt Island. The SUV floated approximately twenty-five yards from the shore before sinking. Even though the windows were down, the driver was making no attempt to exit the sinking vehicle. Deputies Raonel Barrial, Brad Cervi & Corporal Will Haggerty arrived on-scene and without hesitation, all three jumped into the river and swam to the submerged vehicle. One deputy reached inside the driver’s side window and was able to grab the male’s arm. The victim was unconscious and limp. All three deputies worked together to remove the man from the SUV. The deputies were able to successfully keep the victim’s head above water as they swam with him back to the shore. Once onshore, all three deputies assisted in providing medical attention, to include chest compressions to remove water from the victim’s lungs, until paramedics arrived. Witnesses who were on-scene stated the male was underwater for approximately five to six minutes before deputies arrived. The victim was flown to Holmes Regional Medical Center, where he has made a full recovery. Paramedics stated the man would have died if he had been under water any longer before being pulled from the vehicle by the deputies. The exceptional actions and dedication to duty of Deputies Raonel Barrial, Brad Cervi & Corporal Will Haggerty in this perilous situation saved the life of this man. On January 16th, 2008, Cpl. Skinner and Sergeant Brian Seeley responded to an emergency radio call at the Jail for an inmate who was found unresponsive and not breathing. Cpl. Skinner was the first to arrive on scene and initiated rescue breathing on the inmate. Upon Sgt. Seeley’s arrival, it was determined that although the inmate had a faint pulse, he was quickly turning blue and was not getting the oxygen needed to survive. Sgt. Seeley and Cpl. Skinner removed the inmate from his bunk and placed him on the floor so they could better access him. Sgt. 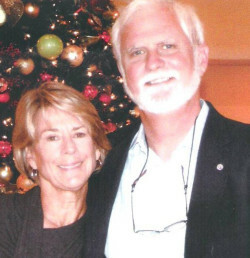 Seeley immediately began working to open the inmate’s airway and began rescue breathing. The inmate’s airway was difficult to maintain and Sgt. Seeley had to work hard to get effective breaths into the inmate’s lungs. While Cpl. Skinner assisted by maintaining security of the scene and briefing arriving personnel, Sgt. Seeley continued rescue breathing until the arrival of Brevard County Fire Rescue. Upon arrival, the paramedics recognized the effectiveness in Brian’s rescue breathing and requested he continue his efforts while they worked on the inmate and prepared him for transport to the hospital. Within an hour after the inmate was taken to the hospital, the inmate was breathing and alert. There is no doubt that the exceptional actions of Sgt. Seeley and Cpl. Skinner prevented a tragedy and saved the life of this person who made a full recovery with no lasting effects from this incident. 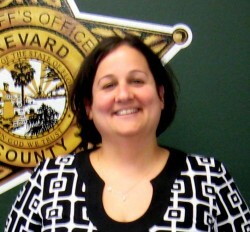 Over the past year, Keri-Ann McGuire has consistently demonstrated the highest standards of performance with the Brevard County Sheriff’s Office. She is specifically responsible for overseeing the administration of the Brevard County Alternative to Incarceration Program known as the ATIP program. This program affords the judges the ability to sentence non-violent offenders to work on the Sheriff’s Office Farm instead of serving jail time, and saves taxpayers hundreds of thousands of dollars annually. She also maintains excellent working relationships with Judges, Probation Officers, law enforcement officers, attorneys and members of the Clerk’s Office to find a solutions to problems when they occur. Kerri-Ann always steps up for any assignment. As an example, she greatly assisted jail staff by organizing a training class for all Brevard County Road and Bridge employees who work with inmates to ensure inmates are supervised properly when on a work detail in the community. In addition to being an incredible employee, she is an incredible person who cares more about everyone else than she does herself. She is truly special and we are all lucky she is a part of this office. Communications Officer Cheryl Pelletier consistently demonstrates her dedication to duty and willingness to “go above and beyond” on a daily basis. In 2008, Cheryl was recognized for her role as a 911 dispatcher in a series of events that included the escape and apprehension of an arrestee as well as an in-progress armed robbery. In both events, she displayed an incredible degree of expertise and thoroughness. 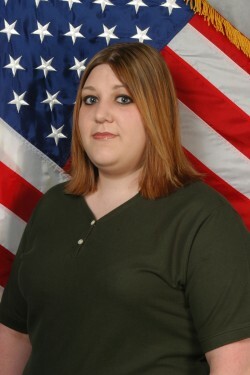 She diligently and quickly relayed important information to responding units for nearly two hours as she provided vital links between sources, updated CAD computer entries and coordinated emergency radio traffic. Her efforts were instrumental and essential in the apprehension of both the escapee and the armed robber. In addition to her exemplary performance in her primary role, she is described as always willing to assist with special assignments. She is an active member of the Incident Dispatch Team as well as a member of the Telecommunications Emergency Response Team which is a statewide program providing Communications staff to agencies during disasters. Communications Officer Pelletier has also participated in a number of other community events such as Cape Canaveral’s National Night Out. She is referred by her peers and supervisors as being the “best in the business” and she can always be counted on to “go the extra mile” to get the job done. She has a genuine desire to protect the safety of the deputies and the citizens she so proudly serves. The Devereux Group Home in Cocoa is a residential treatment center that serves children ages 6-17 who suffer from emotional, behavioral and psychological problems. Many of their children have a history of abuse, neglect or abandonment and the home provides a therapeutic living environment with the goal of transitioning them to either an independent living program or a loving home. Sometimes deputies are called to the home to deal with children who need law enforcement intervention. For over a year, Deputy Jeremiah Mackey has spent his Sunday afternoons volunteering at the Devereux Group Home by conducting a bible study for the children and building positive relationships. Many of the children refer to this deputy as “Mr. JR” and due to his sincere compassion they have gotten to know him as someone they can trust. Deputy Mackey’s supervisor became aware of his volunteer effort following a call for service at the Devereux Home for a child who was out of control and damaging property. The sergeant met the deputy on the call and found the child had now calmed down and was being respectful towards him. 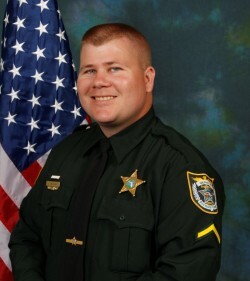 The sergeant stated he heard the child refer to this deputy as “Mr. JR” and told him about the Sunday afternoon bible study. Jeremiah’s rapport and the positive relationships he has established with many of these children has greatly assisted him in being able to calmly resolve most problems when responding as a deputy sheriff. 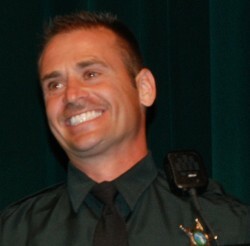 Reserve Deputy Don Frantzen began his career with the Brevard County Sheriff’s Office in 2005 and has been a valuable member of our agency. 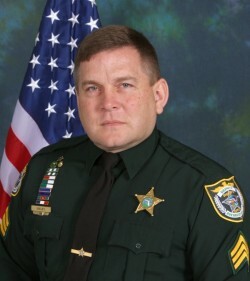 As a Reserve Deputy, he had a desire to be a member of the agency’s SWAT Team and was able to successfully compete this very demanding course of training. He has served with the SWAT Team on a number of call-outs and one of his current assignments is to assist the team with communications. In 2006, this he volunteered to assist with the agency’s Police Athletic League and has been a valuable asset to the program. He has been an outstanding role model to many children in our community. 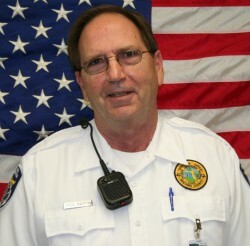 He has also saved county tax dollars by providing hundreds of hours of service at no cost to the citizens. He can consistently be counted on to work many of our agency’s special details and events throughout the year and has recently began the intensive Field Training Program on his off time while still working another demanding full-time job. Deputy Frantzen dedication to serve his community and our agency is to be commended. Fred Mastin is such a volunteer for his outstanding service and dedication to the C O P program in the North Precinct where he serves as the coordinator. 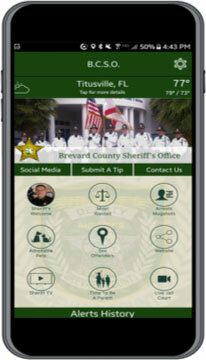 He has been very active in the North Brevard area and has volunteered hundreds of hours. He is a graduate of the Sheriff’s Office Citizens Academy and been trained in crime scene processing, radio communications, report writing, driving and traffic control. Fred assists North Precinct by frequently working over 24 hours a week handling follow-up calls for service, such as burglaries, thefts and criminal mischief complaints. He has also completed several FEMA Emergency Management courses and is a graduate of the Community Emergency Response Team (CERT Program). He has also worked with children at our agency’s six-week Camp Chance summer program, assisted our Crime Prevention Unit by fingerprinting children at numerous community events, performed traffic control at holiday parades, and assisted several other precincts throughout the year at various functions. As a retired Commander with the United States Naval Reserve, he continues to serve his community and our agency through his outstanding service and dedication. 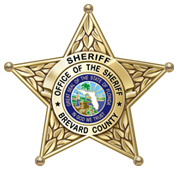 Each year the Brevard County Sheriff’s Office selects a very special citizen in Brevard County whose efforts have had a profound effect on the protection of children in our communities and reducing juvenile crime. Literally tens of thousands of children right here in Brevard County have been positively affected and have bright futures because of the love and help of Jim and Johnnie Swann. 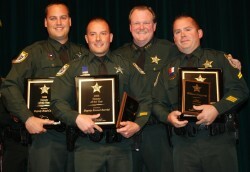 These recipients were presented a Meritorious Award for outstanding duty performance. They have displayed unusual thoroughness, determination, and initiative while carrying out thier duties.